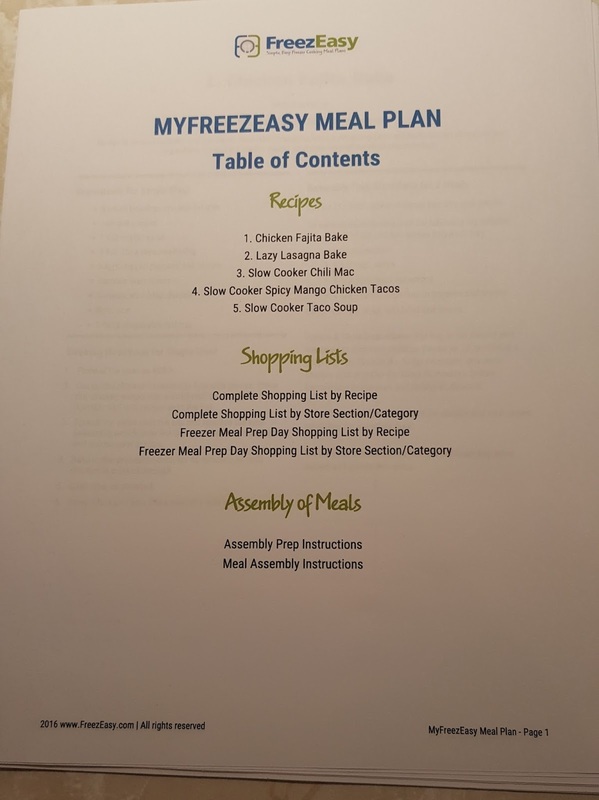 The MyFreezEasy.com Freezer Meal Plan Membership from MyFreezEasy makes freezer cooking so fast and easy there is no excuse to not have a meal at home even with our busy schedule. We are about to hit our busy season with basketball games and practices taking up the majority of our week. 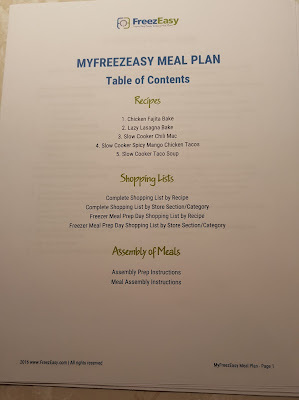 I struggle with meals during this season and we often end up at a fast food restaurant so I was so excited to try MyFreezEasy. I have been wanting to try my hand at freezer cooking for a while and have pinned some plans on Pinterest but never really followed through so this was my very first time doing freezer meals! 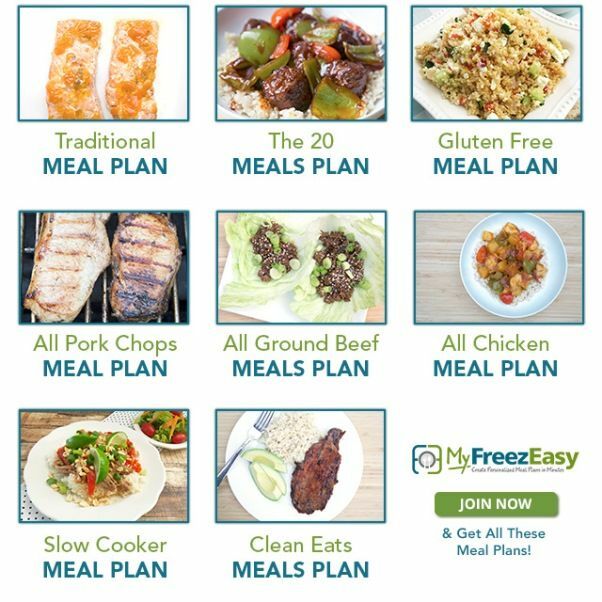 The beauty of the membership is you can choose one of the plans above, mix and match plans, or create your own plan using the month's recipe selection. Being able to switch things up allows you to take advantage of meat sales too! Since I had never embarked on a freezer meal journey before, I decided to keep it simple and use the traditional meal plan for the most part. I did swap out 2 of the recipes because I was also trying to maximize my freezer and pantry ingredients that were already on hand. 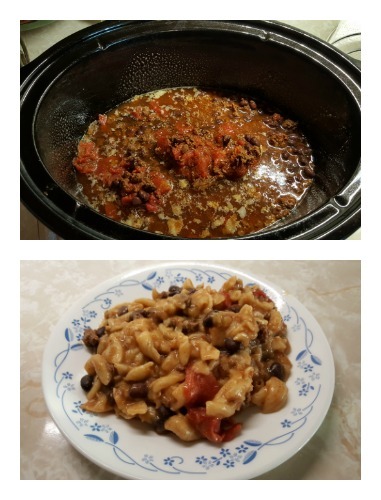 The original plan had a teriyaki pork tenderloin recipe included so I swapped that one out for a Slow Cooker Taco Soup recipe. The 2nd recipe I swapped out was a Spanish Rice recipe for a Slow Cooker Chili Mac recipe. Swapping the recipes was extremely simple to do. You also had the option of changing serving sizes. The standard recipes given were 4 servings. I changed ours to 6 since we are a family of 5 and honestly we probably could have stayed at 4 servings because we had plenty for our family plus leftovers for every meal when I added in sides. So, to change the serving sizes, you would click on a drop down box and your recipe and shopping lists would automatically be updated with the required amounts needed. To change the menu (located on the right in the photo below), you would select the recipe from the left and drag it over to replace the recipe in the menu box on the right. After you have selected which menu plan you would like and swapped any recipes, you are ready to print. All menu plans can be downloaded and saved and you are encouraged to do so since they are no longer available on the site once a new plan for a new month begins. Each meal is doubled so you end up working with only 5 recipes and doubling each one. 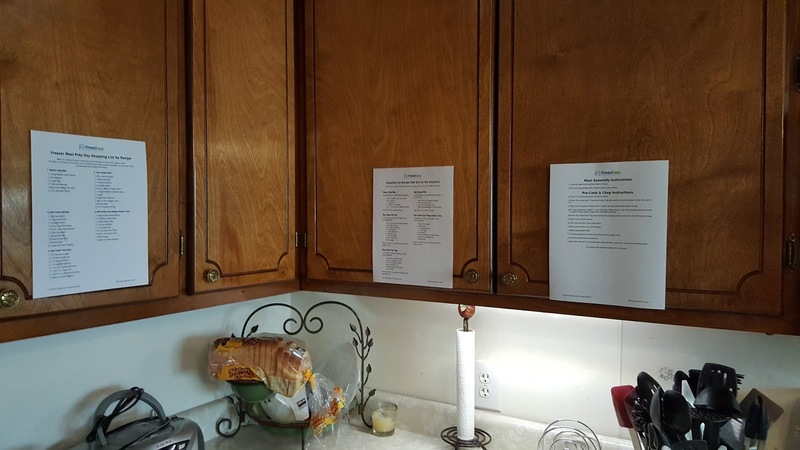 The meal plan list was 14 pages long and included each recipe plus shopping list by recipe and store, prep day instructions and meal assembly instructions. 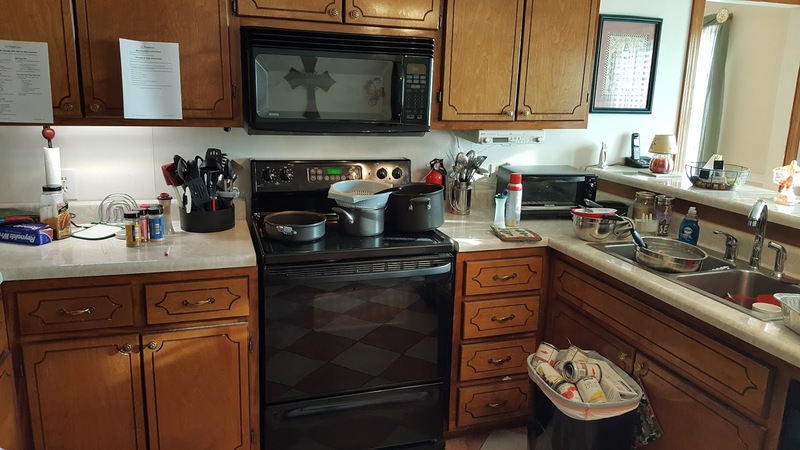 It even included what needed to be put out on the counter. I absolutely loved the step by step instructions and that I could check off as I went. 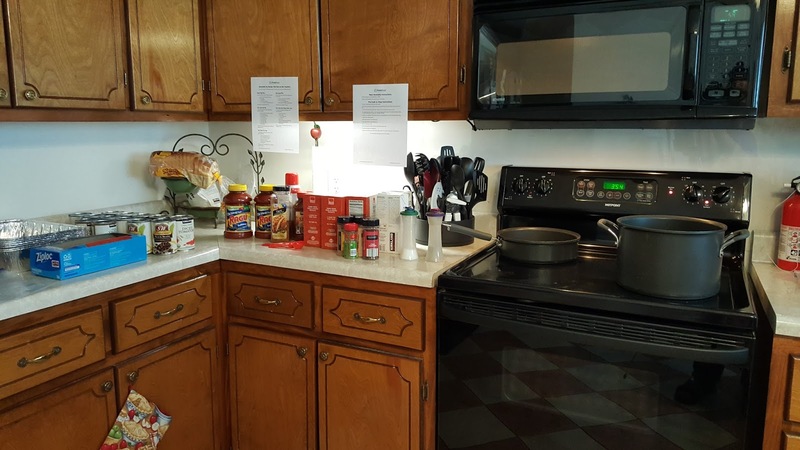 You also get step by step video instruction showing Erin Chase, the creator, doing the same prepping and assembly you will do if you choose the traditional meal plans. There are highlight videos included for every meal plan too. She shares tips along the way to help you too. The video came in handy for me to visually see what I was about to embark on and I also was able to see an ingredient that I had no idea what it was - mango nectar. After seeing it in the video, I recognized that I had seen it at my grocery store before and was able to easily find it. I taped my instructions to the cabinet above the counter I was working on so I could easily see it at a glance. 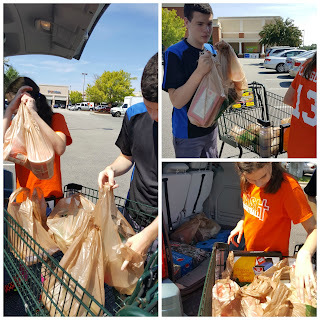 With shopping list in hand, my helpers and I set off to purchase the items that we did not already have in our freezer or pantry. After arriving home, we set up the counters as the meal prep instructions stated and began our first freezer meal adventure. Exactly 45 minutes later we had 8 meals in the freezer! I had only 8 because I decided to only do 4 of the recipes last minute. The meals I chose had very little prep. I only had to brown all the ground beef, season it and boil some of the pasta for the Easy Lasagna Bake. The main job seemed to be opening a lot of cans! 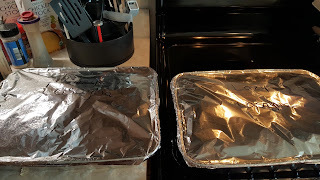 After that, assembly of the meals into baggies and pans began and all we had left was the clean up. The Lazy Lasagnas ready to go. There were printable labels available but I just chose to write mine. Some of the meals in the freezer. Clean up time wasn't really that bad either! I loved the fact that each recipe included instructions on how to prepare it from the freezer as well as if you wanted to prepare it at that moment. 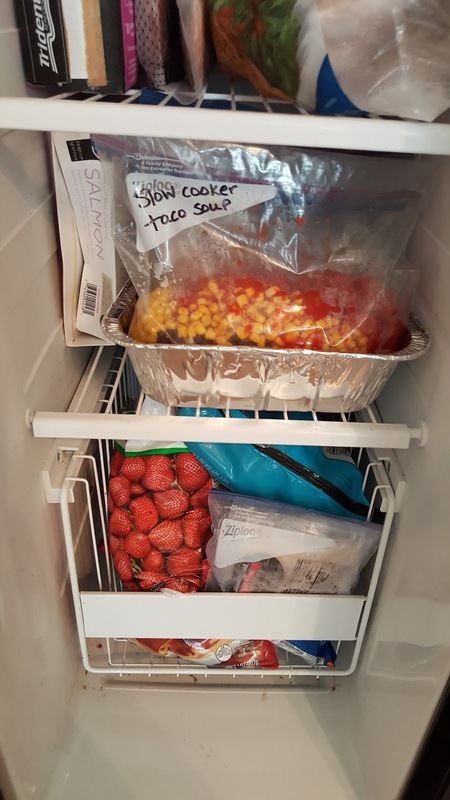 The meals I chose did need to be thawed out overnight in the fridge or set in water for 20 minutes before cooking so I did need to try to keep in mind our menu plan for the week so I would know when to pull a meal. 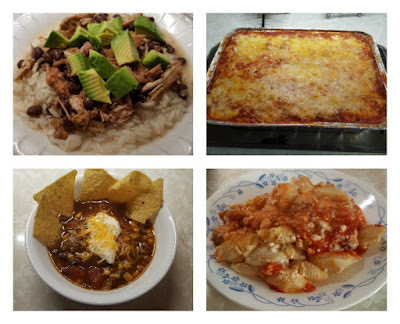 My family liked each of the 4 recipes that we tried with the Lazy Lasagna being our favorite followed closely by the Slow Cooker Taco Soup. I decided to serve the Spicy Mango Chicken Tacos over rice instead of inside a tortilla for our first recipe. For the next one, we definitely want to try it as a taco. 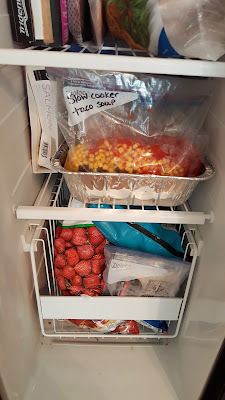 When all was done, I felt so proud to have 8 meals for my family in the freezer and wondered why it has taken me so long to do this. I think I was always scared of putting in a days worth of work to find out that our family didn't like any of what I had prepared! I also didn't want to do the calculations needed. 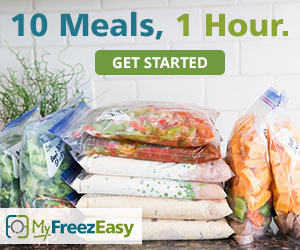 With MyFreezEasy plans, the plan is already laid out for you so it can be accomplished in a very short amount of time. You can easily change serving sizes and recipes. It's like having another brain to assist you in meal planning! Who doesn't need that? Find out more by visiting MyFreezEasy on Facebook, Instagram, Pinterest.